Wonder Woman Is About to Stab Batman with Superman’s Baby Rocket. Guess They’re Not Friends Anymore. 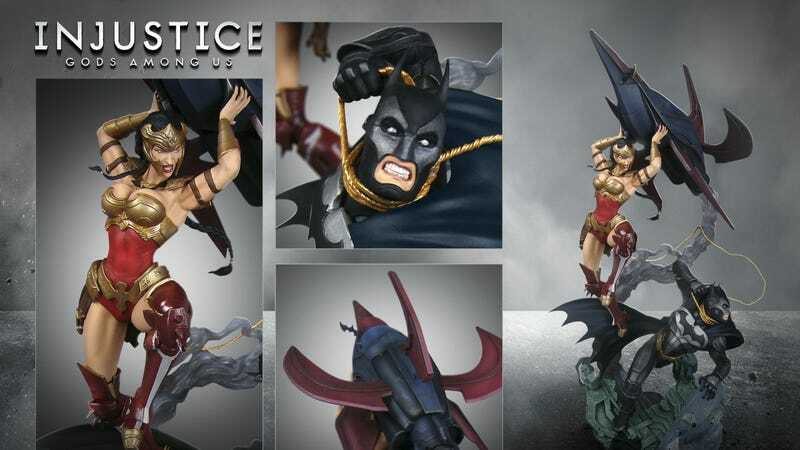 This statue pictured above will be coming with the collector's edition of Injustice: Gods Among Us, the fighting game that pits DC Comics' most popular super heroes against each other. (Don't worry; they fight villains, too.) The sculpture shows just how much the relationships must have deteriorated between the members of the Justice League, what with Batman snared in Princess Diana's magic laso and the Amazon about to deliver a grievous blow with the spacecraft that brought Superman to Earth. Friends don't destroy their friends' irreplaceable, built-by-dead-father rocketships.